I had the pleasure of working with Sonia, who I was introduced to by my brother in law Stephen, on her wedding invitations & reception items earlier this year. Stephen, Sonia & Andrew were friends from UCF and I'm so glad that I got to work with her, she was so sweet. And what a beautiful wedding she put together... every detail is gorgeous! Sonia & Andrew were married at the beautiful Leu Gardens in Orlando, Florida. Sonia chose the petal program fans, which are absolutely perfect for an outdoor wedding! 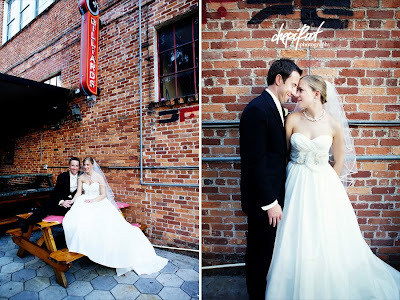 Their reception was at the History Center in downtown - completely amazing venue! 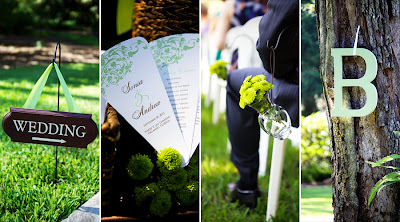 Sonia & Andrew chose the Whimsical Scroll invitation suite in celadon & chocolate. 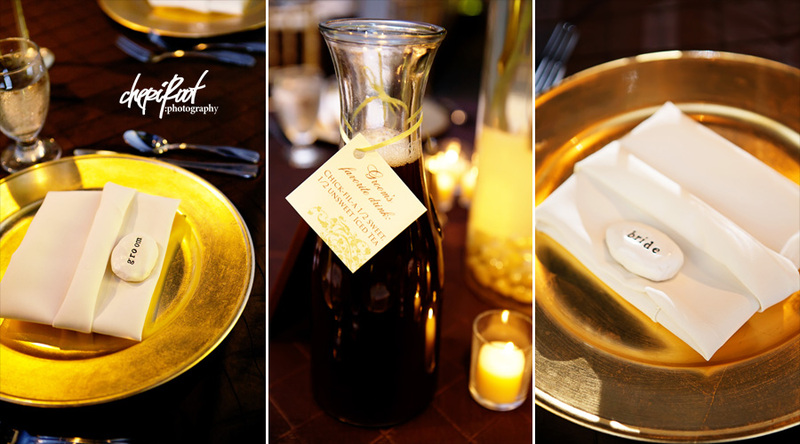 I designed a hang tag for the groom's favorite drink pitchers, the table numbers and menus to coordinate with their invitations. 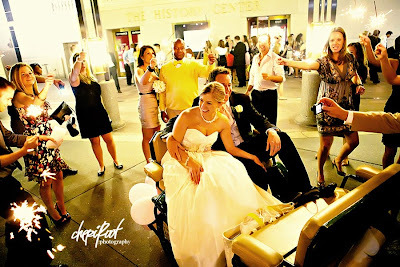 I love that they made their getaway in a rick shaw! How sweet! All of these amazing photos are by the extremely talented Cheri Root. Thank you Cheri so much for sharing these beautiful photos with me!